At long last the winter has come to an end, spring is in the air and days are longer. I woke up this morning and heard the birds singing. Music to my ears. 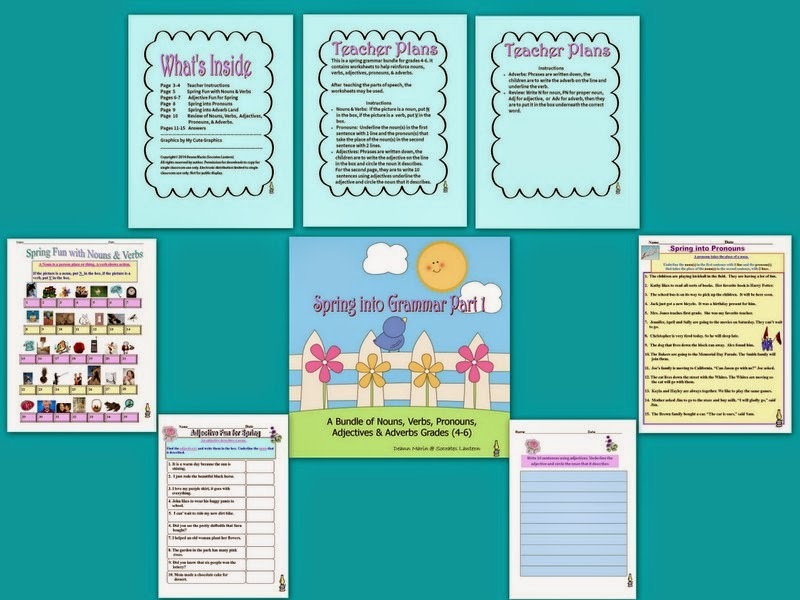 What better way to welcome spring than to give your class some colorful spring worksheets. 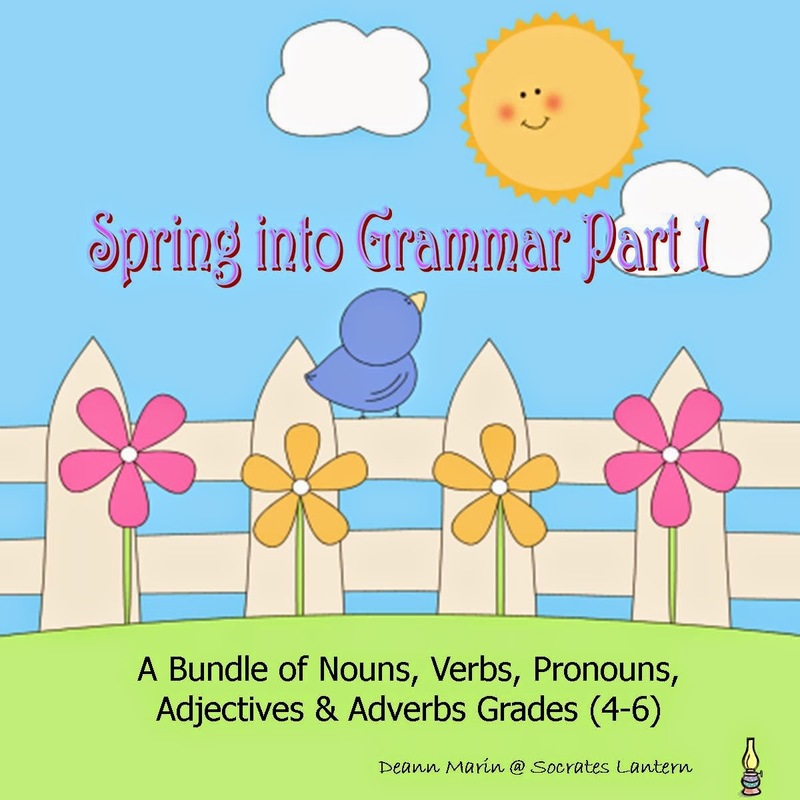 I've created a review bundle called Spring into Grammar, it contains worksheets of nouns, verbs, pronouns, adjectives and adverbs for grades 4-6 as well as special education students. All rights reserved by author. Permission for downloads to copy for single classroom use only. Electronic distribution limited to single classroom use only. Not for public display.